A report has suggested that ITV and Channel 4 should walk away from online VOD scheme Project Kangaroo to save themselves up to £30 million in losses. Project Kangaroo is already on the rocks, with the collaboration between BBC Worldwide, ITV and Channel 4 awaiting a response to a new submission to the authorities after the original was met with criticism from the Competition Commission. The new submission offers two separate concepts with the suggestion that failure will spell the end of the project – but The Guardian notes that a report by Enders Analysis suggests that this would be a blessing in disguise. 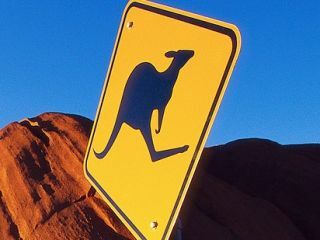 "The market for internet video advertising, on which the commercial revenues from Kangaroo would chiefly depend, is tiny and developing slowly," said the report. "Revenues may not exceed the cost of Kangaroo for some time. In summary, the potential advertising rewards from online video are far lower than Kangaroo's backers imagine. "Therefore it can certainly wait for a year or two whilst the commercial PSBs focus on their survival." Project Kangaroo in its original state would have represented a powerful VOD service on the internet from Britain's three leading broadcasters. However, with fears that Kangaroo would be too strong for any competitors to flourish the Competition Commission suggested that changes were necessary. Online VOD has become hugely topical in the past year with the success of the iPlayer, with individual offerings – such as Sky's recently opened-out Sky Player TV – proliferating.